In honour of Willow the companion of our friend Lavinia, we have decided to include her story as a Tribute. Please ensure you have a box of tissues at hand and do send your love to our friend! Now somebody has cut onions here. 22 is a good run for a cat, she was loved and well cared for and allowed to die peacefully. Willow, you were a beauty, sweet girl. Rest in peace. This made me cry. Sweet baby, may you find joy at Rainbow Bridge. Peace and Love. So Sorry for all left behind. Wow, this post was such a great comfort to me, both about my sweet Zorro, who has been gone only 5 months, but for myself, as I navigate this aging process. Willow looks so very content in the pictures; I hope it’s a comfort to know she was so well cared for and happy and had a long life. . . I am struggling myself with the feelings of losing a cat last year. Rest in peace, Willow. 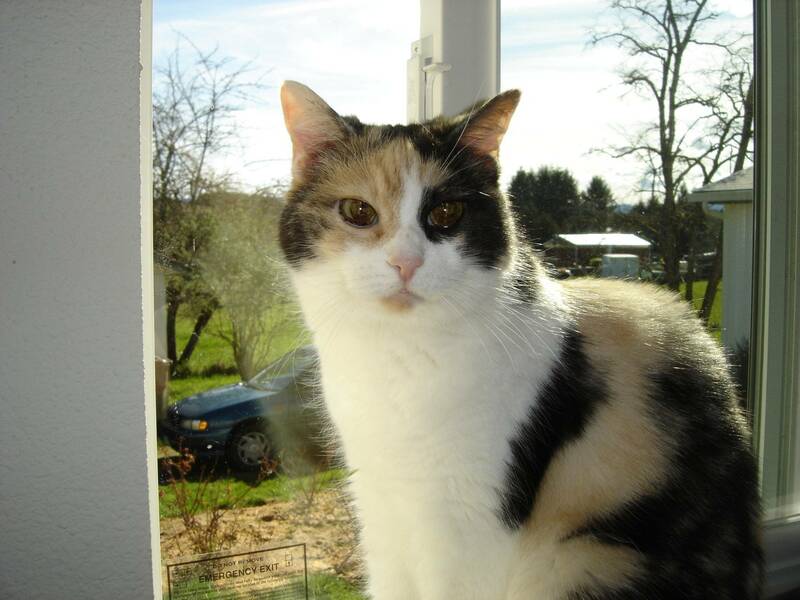 My own calico has entered her elder years – may she live as long as Willow did! I hope she’s rejoicing in the arms of her human friend, wherever they are, together.